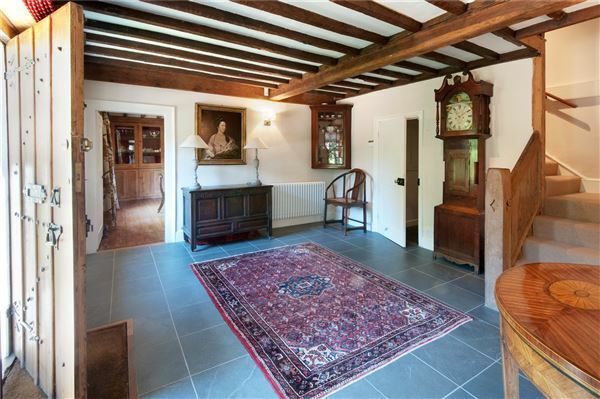 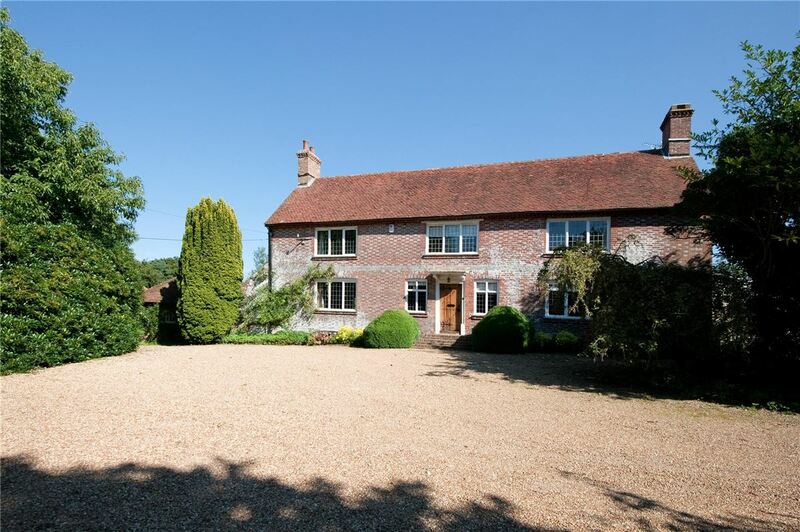 Believed to date from the 17th Century or possibly earlier, with later additions, Grove Hill House is a wonderful period house, constructed of mellow red brick with grey headers, all under a mainly clay tile roof. 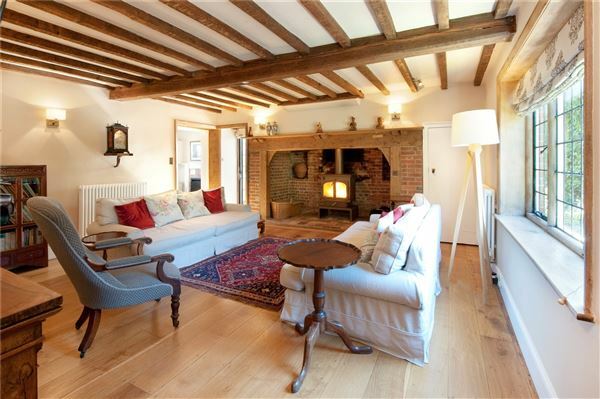 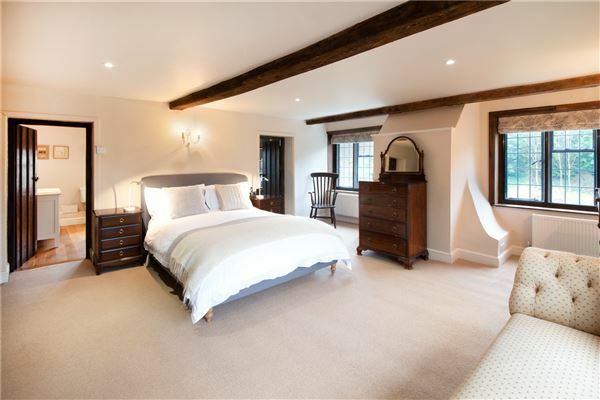 Internally, the house provides bright and well-arranged accommodation with good ceiling heights and has been considerably improved by the current owners. 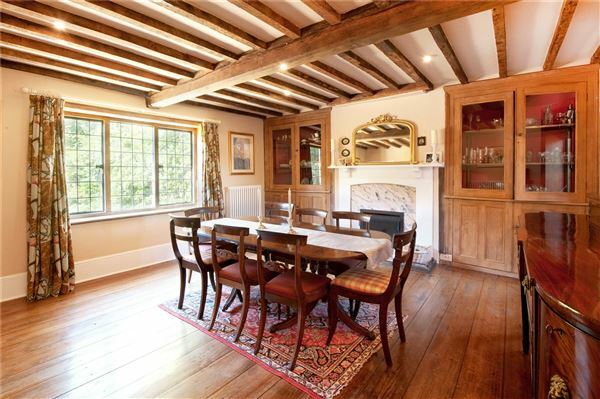 On the ground floor, there is a large welcoming reception hall, a well-proportioned drawing room with a magnificent inglenook fireplace with a wood burning stove, a double aspect dining room with polished wood floor and an open fireplace flanked by a range of display cupboards, a cosy sitting room, again with an open fireplace, a generous conservatory with a marble floor and a superb farmhouse kitchen/breakfast room. 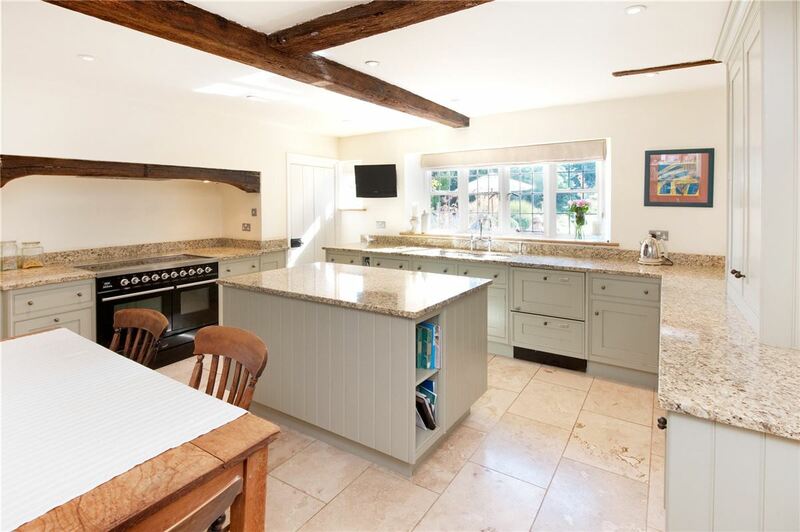 The kitchen/breakfast room has a Travertine floor with underfloor heating and is fitted with an extensive range of French Grey painted Smallbone units with granite work surfaces with an integrated two drawer Fisher & Paykel dishwasher, an integrated fridge and a Britannia two-oven range with a six plate hob over. There is also a dresser unit with extensive book shelving and a walk-in larder. In addition, there is a utility room, boot room and two cloakrooms. 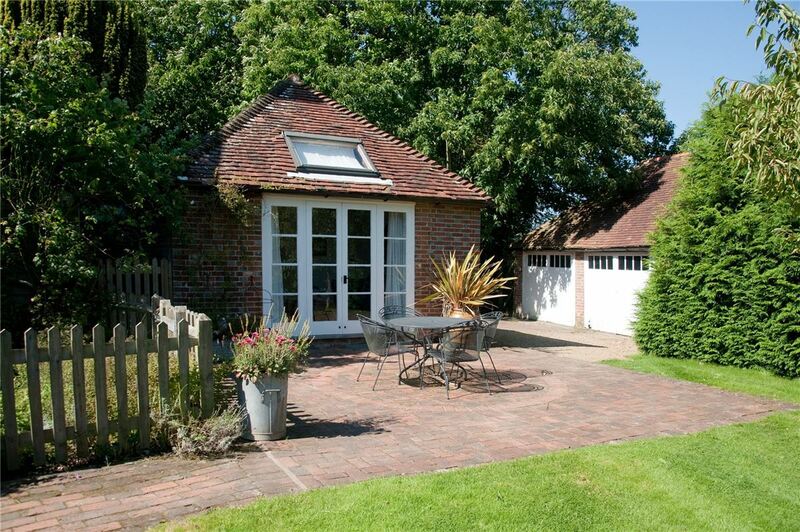 The ground floor accommodation is ideally arranged for entertaining. 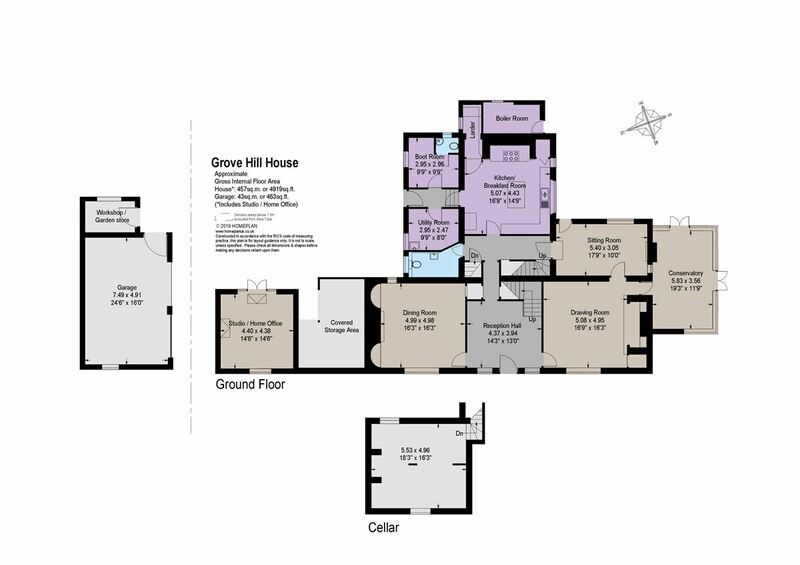 The first floor is approached via two staircases and provides a particularly generous principal suite comprising bedroom, dressing room/study and bathroom. In addition, on the first floor there is a guest suite with an ensuite shower room, a further suite comprising bedroom and cloakroom, a further bedroom and a well-appointed family bathroom. 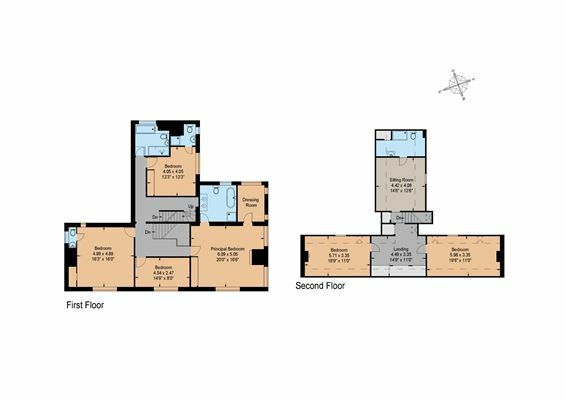 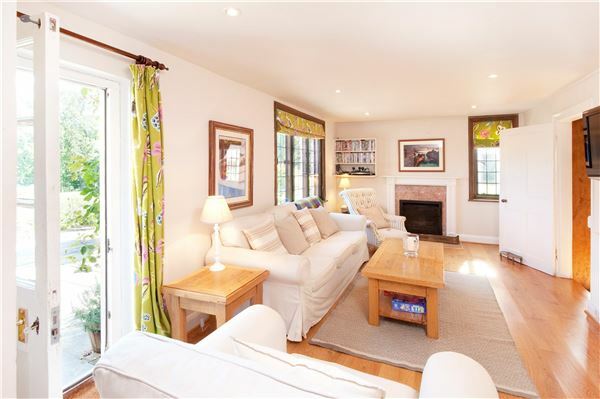 The second floor provides a large landing, two double bedrooms, a shower room and a sitting room. 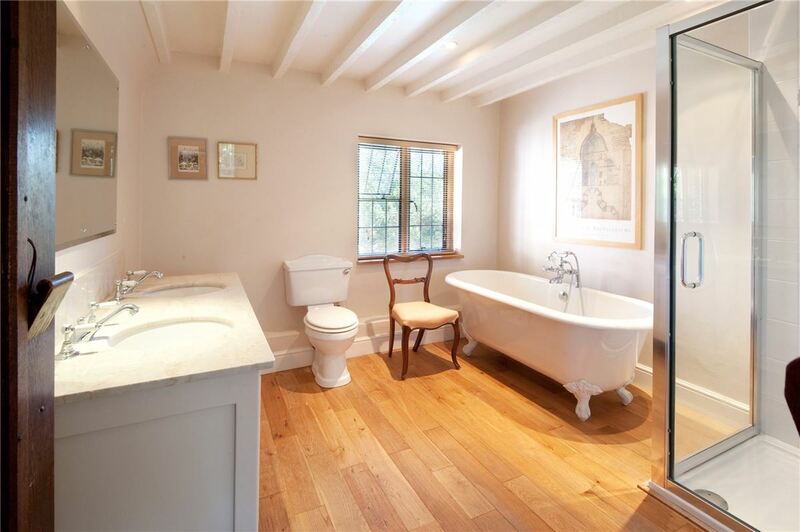 All of the bathrooms/shower rooms are considered to be well-appointed and are fitted with white suites. Grove Hill House is approached via an electrically operated wooden five-bar gate, from which the private gravel drive leads to the front of the house, where there is a wide parking area, bound by banks of mature rhododendrons. The driveway continues past the house to the brick and tile garage and workshop. 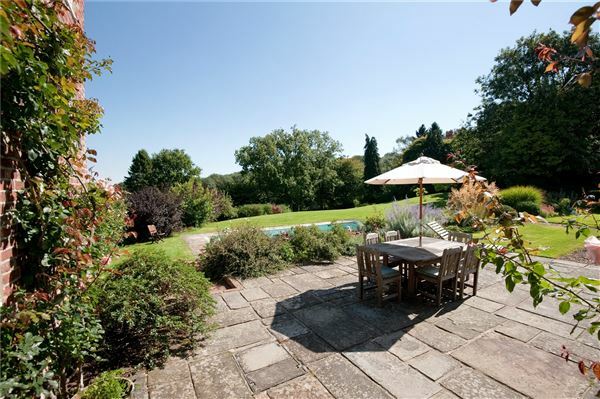 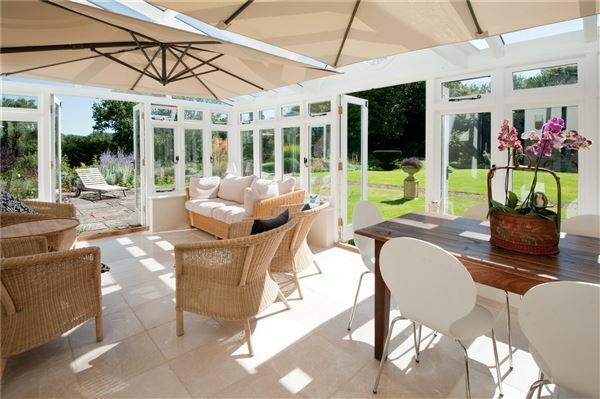 Adjacent to the south eastern side of the house is a superb York stone terrace, beyond which is the heated swimming pool which is set into a sandstone surround and has an electrically operated cover. 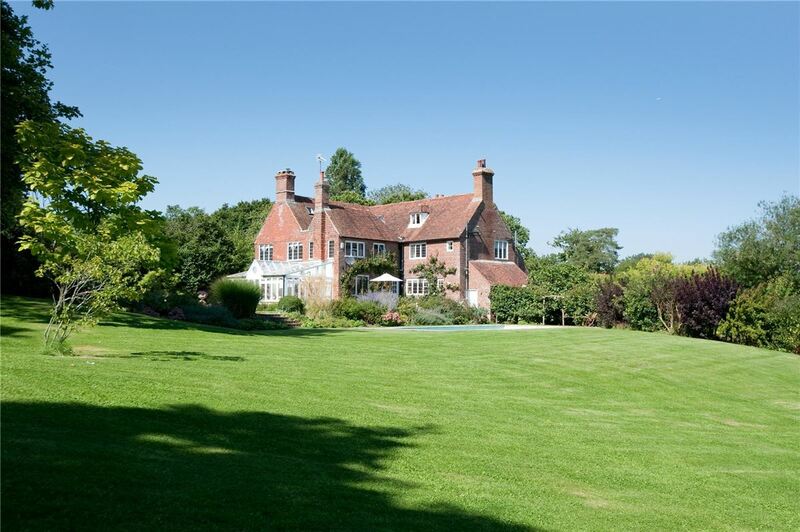 The gardens have been attractively landscaped with gravel and brick paths, numerous well-stocked herbaceous borders, clipped box hedges, a kitchen garden and there are a number of magnificent mature oak and beech trees. 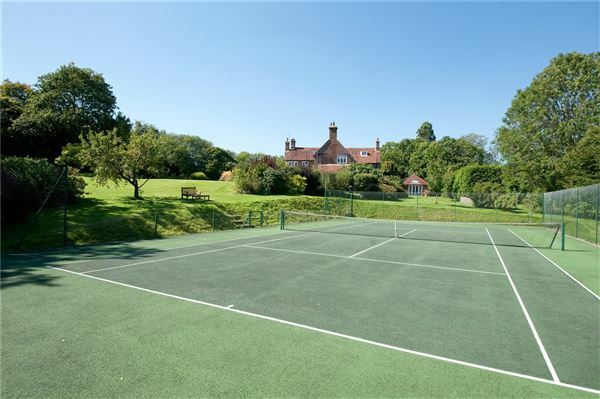 The gardens slope gently away from the house to a picturesque pond and the all-weather tennis court. 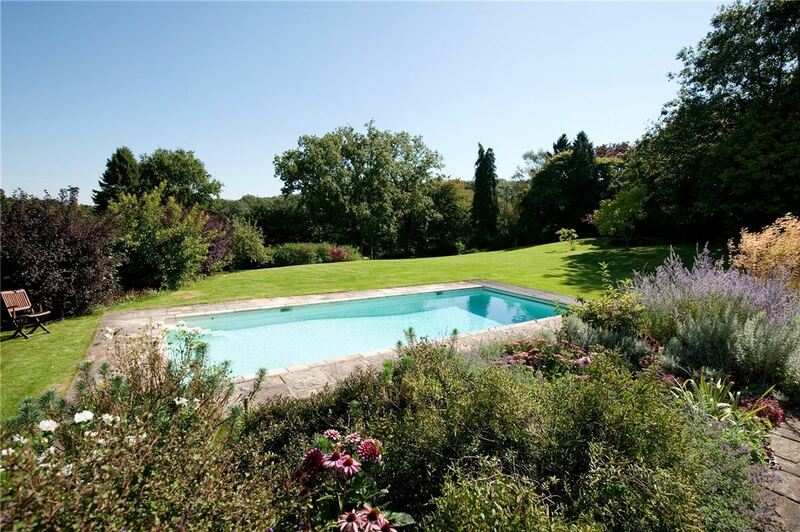 Located opposite the house is a separate parcel of land which is mainly down to grass and is bordered by some magnificent mature trees including oaks and a superb sequoia tree. 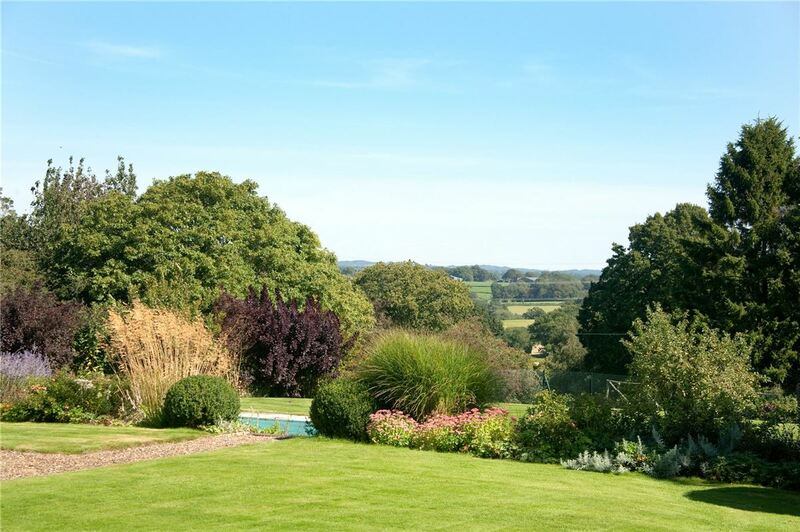 From the house, gardens and grounds there are some splendid views over the surrounding countryside. In all about 2.25 acres.